Matsumoku, Early 1985 to ? This model seems to be an “orphan”. It is a does not appear in any of the catalogues or price lists that we know of. This is one of the first Spectrum series without a trem system, and some models may have even been made without a coil tap. Of the two we know of, one is black the other white. It is not known if other colours were available. Thanks to Ebay member designergirl_99 for the photos and info of this black example. 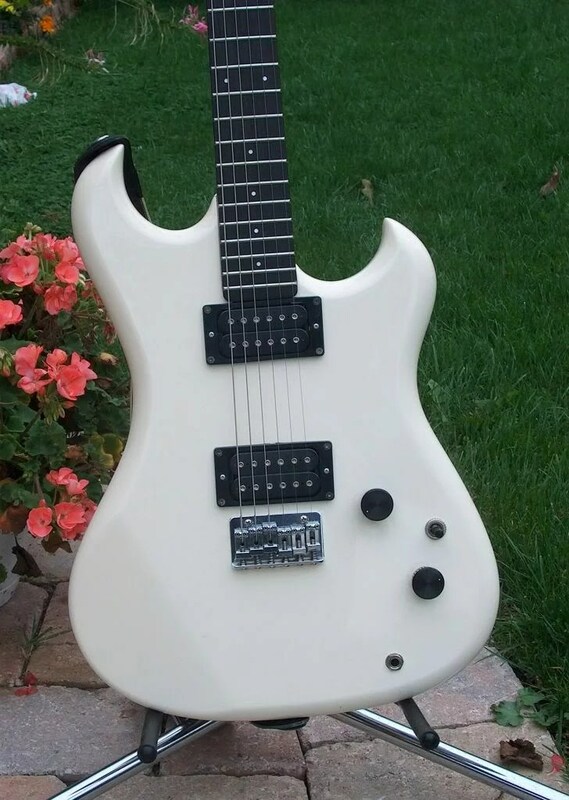 This white model owned by Westone Forum member, Barry, does have a push/pull coil tap on the tone control. The original content on this site is based on research and compilation courtesy of David Blair. Continuing contributions are courtesy of the members of the Westone Guitar Forum.